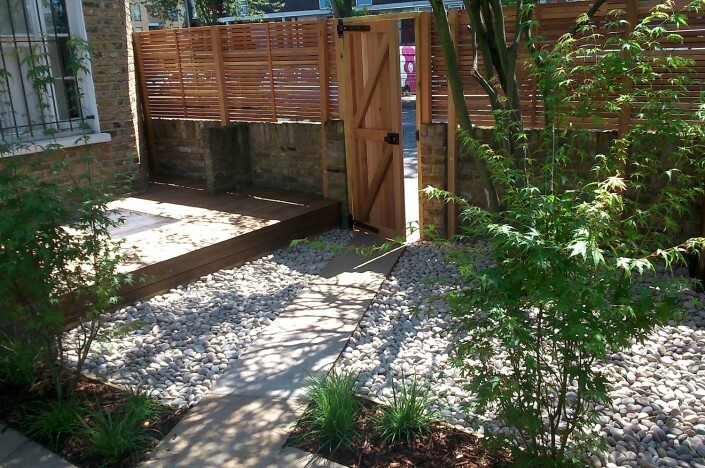 Materials: Yorkstone paving, Cedar slatted fencing, beach pebbles, raised deck, bespoke Cedar garden gate and beds retained with wooden edging. Plants: Simple, minimalist, Japanese feel: Acer palmatum, Nandina, Luzula, Miscanthus, Liriope, Heuchera, Geranium. 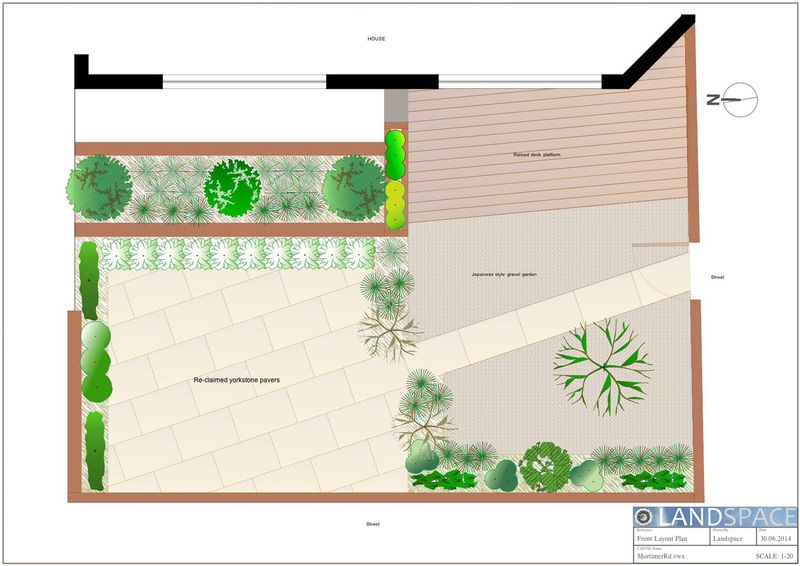 Brief: The client wished to make the most of his outdoor space. It is a front garden on the corner of two roads. It was very overlooked and hence not very private. It was also neglected and really only used to store rubbish bins and recycling. 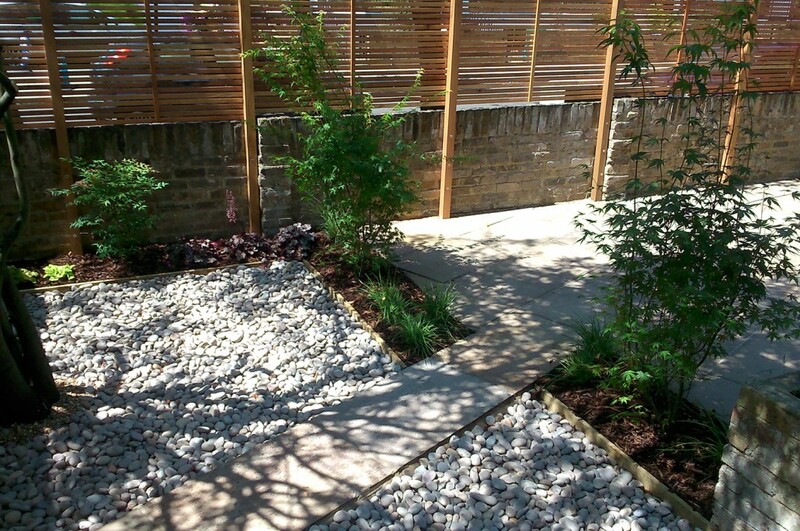 We suggested a Japanese, minimalist style garden. 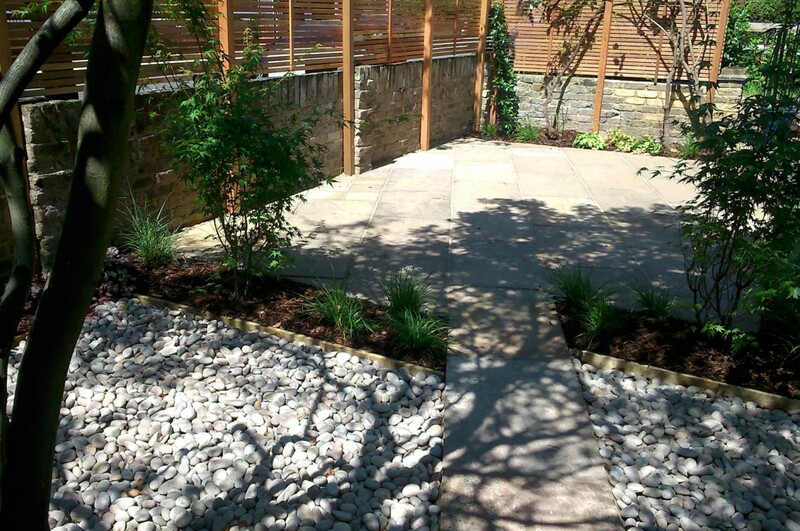 To disguise an awkward area covered in concrete, we created a raised deck area for sitting. 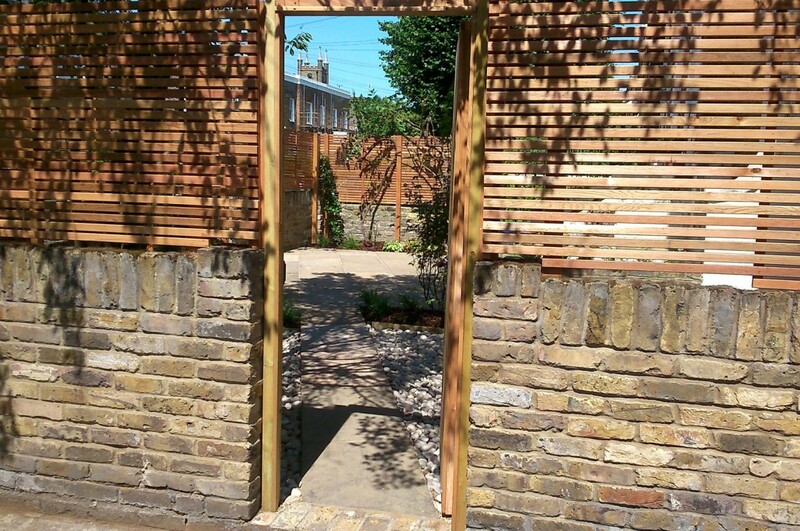 Privacy was created by the construction of a light Cedar, slatted trellising. This was the best compromise as a fence would have been too heavy and made the space feel very enclosed and shady. Having the slatted style trellis, allowed light to enter whilst not being as easily overlooked. The garden was partitioned into three areas and connected by a diagonal path. The hard landscaping was softened with Japanese style planting.